Today Neytiri and Navi made a new friend! 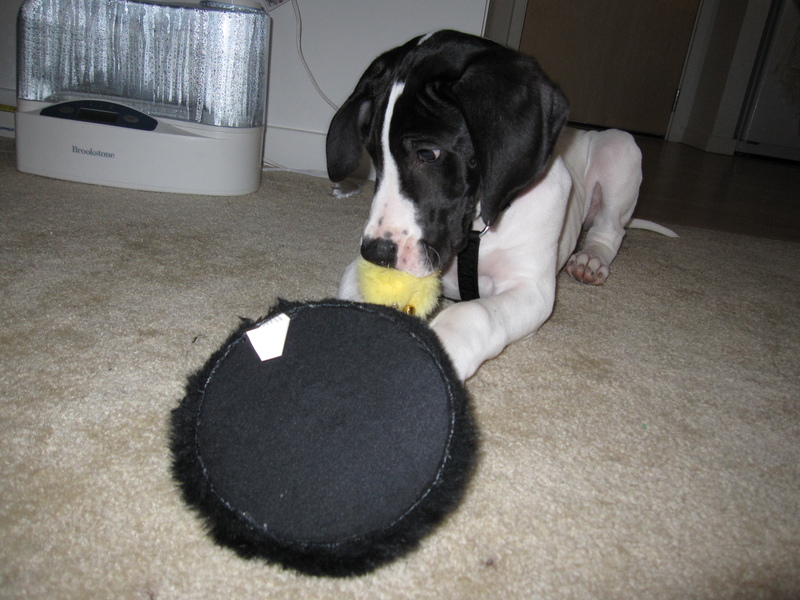 He goes by the name Yohji and is a three month old great dane puppy! omg i want a great dane so badly. How’d they meet the puppy? oh thank goodness that’s just a toy. At first glance, I thought the dog was gnawing on your cat. You are currently reading Yohji at You, Me, and Everyone Else.